Samantha Ng has been teaching at the Yung Wing School for eight years. I modified some of the activities from this author study unit for my first grade class on the children's book author, Eric Carle. 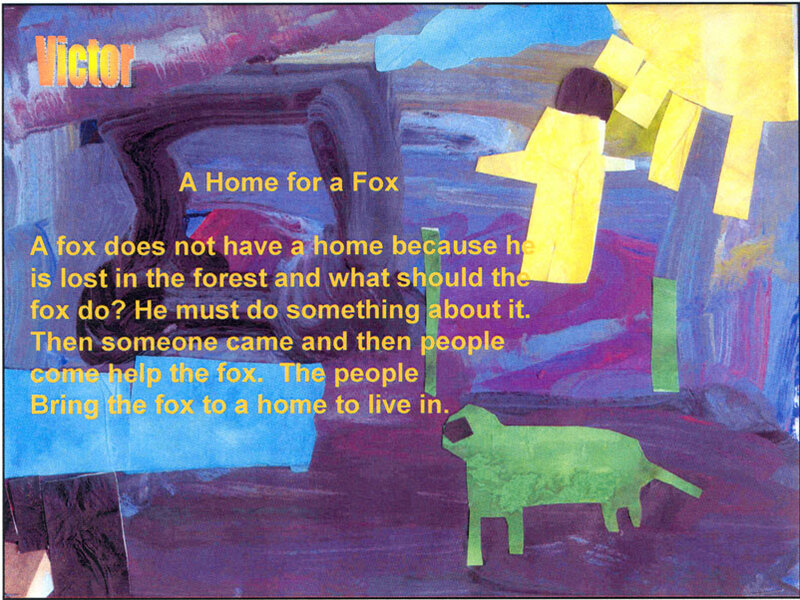 Demonstrate a basic understanding of the author's style in their art works. After scanning all the children's art works, we used kidpix to make a slideshow of their work. After many read-alouds of Eric Carle's books, children reread and chose their favorite story. 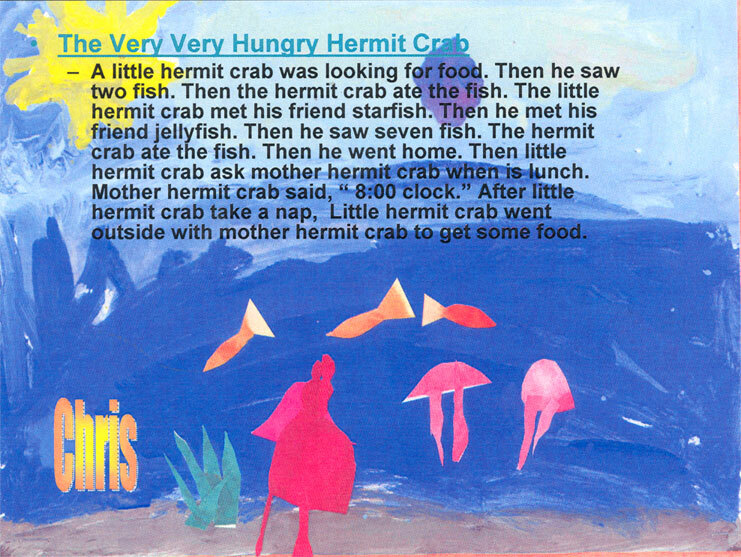 Then each child created their own Eric Carle stories. They also created their own artworks using Eric Carle's style. I like the kidpix slide show idea to show their work.